How the dinosaur got his nose! I hadn’t gotten excited about 3D printing. It’s great, love the idea, understand how artists can use it, or engineers can build prototypes etc, but I hadn’t got that excited. That changed for me when I met a project in which Jisc is a partner from the British Geological Society at the Jisc Digifest in Birmingham. As a child I was (and still am) fascinated by geology and palaeontology (fossils). I was at the project stand and I recognised many of the fossils that they had on display. And I was excited. A colleague came over and I immediately launched into some of my favourite stories about the history of palaeontology. One of those stories is about Gideon Mantell, he was the first person to find the fossils of the iguanodon. In fact he found a large amount of the skeleton – but no skull. So, when it came to drawing what he thought it would look like, he placed one particular bit, that was hornlike, on the dinosaur’s nose, not unlike a rhinoceros. However, Mantell’s sketch did have the dinosaur much more like modern idea of a dinosaur, as a supple creature and not as the great lumbering beast that some Victorians imagined them as. 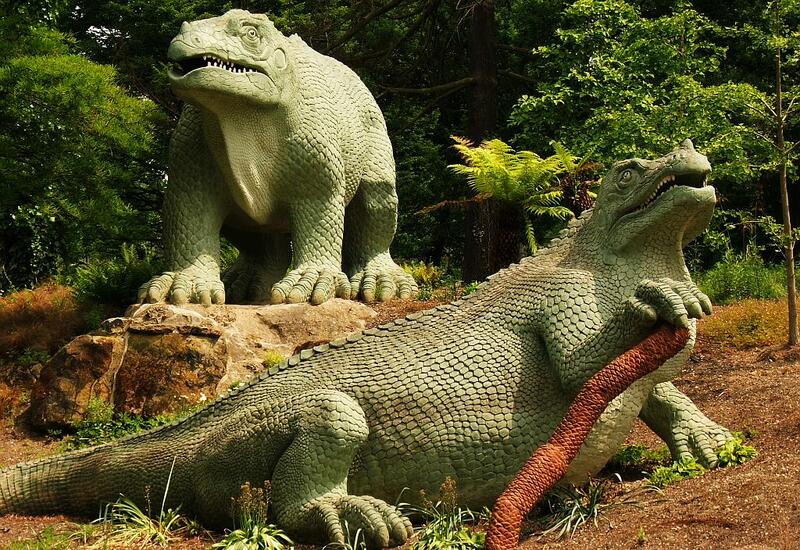 In fact Richard Owen later created life size replicas of dinosaurs for the Great Exhibition (1851), and they are still in place in Crystal Palace park (below). You can just make out that there is a ‘horn’ on the models. This is the ‘Dinosaur’s Nose’ a rare and fragile thing, something I can handle, and hold much as Mantell and Owen must have. I can understand how when they were trying to piece together the clues about what this creature must have looked like they mistook this for a horn. I can hold it, close my eyes and use my sense of touch to try and augment my sight in understanding what the object is. But it wasn’t stone, it was plastic. A disposable learning object. Louise from the project hearing how excited I was about the Dinosaur’s nose, had gone back to the project and printed off one and sent it to me. I can honestly say I was thrilled. And if I was thrilled about it just as an object, what would students make of it. 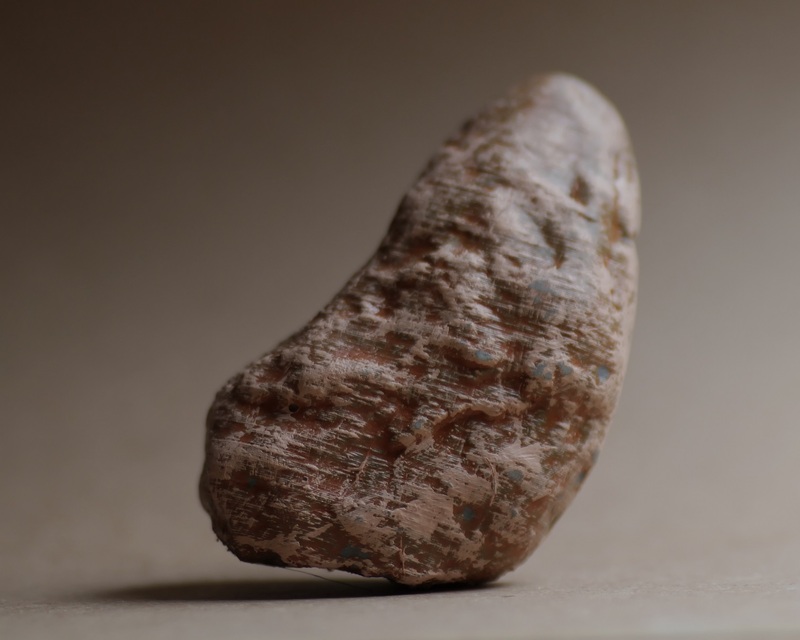 The idea that students of palaeontology being able to handle ‘one of a kind’ fossils, or fossils that are very fragile is compelling, and adds something to the learning. This is an area that is developing rapidly, the idea that we can use technology to augment the physical with the ‘disposable’. The project is at http://www.3d-fossils.ac.uk/ it is, for me, truly inspiring, and I hope that it continues to develop and grow. And by the way, it’s not a horn. But that’s something for the reader to find out more about – the downloadable file for this ‘printed’ fossil and 3D picture can be found here. Communication, e-learning, JISC, Learning and Teaching 3D, 3D printing, British Geological Society, JISC, Technology Enhanced Learning. permalink. Flipped classroom, or just flippin’ technology? Where are we now with technology, student experience and organisational change?